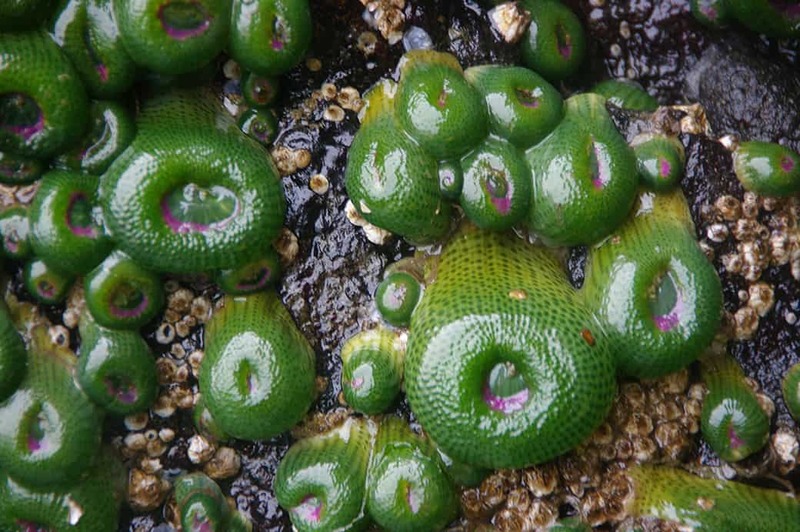 Sucia Island Marine Park is a cluster of small islands situated near the Washington and Canada border, on the outer edge of the San Juan Islands. 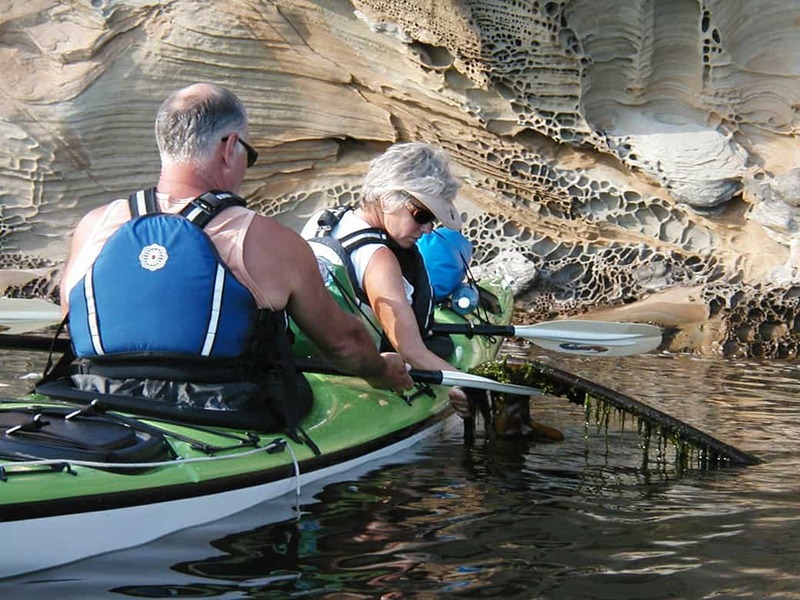 Due to its isolation, gorgeous scenery, and relative difficulty of access, sea kayaking around Sucia Island has long been a coveted experience among kayakers coming to the San Juan Islands. Sucia Island is peppered with submerged reefs, making navigation by larger boats a treacherous activity, but providing an amazing playground for sea kayaks. We can get right up against the shoreline to explore the shapely rock formations which make Sucia Island so famous. What makes this sea kayak trip unique is that we are departing directly from Orcas Island. A short crossing over to Sucia Island gets us immediately into the “sweet spots.” This is the easiest way to get to the Sucia Group, and for the entire duration of the trip you will be exploring these amazing shorelines. Sucia Island rests on the southern edge of the wildlife rich inland sea named the Strait of Georgia which guarantees great views of seals, porpoise, Bald eagles and their nests, and occasionally Orca whales. The highly eroded Chuckanut sandstone on Sucia Island is formed into bold shapes; honeycombed cliffs, whimsical hoodoos, arches, and caves. This is one of the only places in the islands where this unusual golden rock appears. Adding to the scenery are massive views Mt. Baker, a slumbering volcano that appears to rise abruptly from the sea and is covered in glaciers. Surrounding Mt. Baker are the rest of the craggy North Cascades, and the snowy peaks of the Canadian Coastal Range. Wide open waterways surrounding Sucia Island give visitors a sense of remoteness that is unique to the Outer Islands. Our hope is always to exceed your expectations when it comes to the food we serve. We understand that the one thing that you are sure to remember is whether the food was palatable. On our tours you won’t go hungry! As the owners of the company we personally see to the creation of each meal plan on our multi-day camping expeditions. We source most of our food from local organic farms here in the Skagit and Samish River valleys, and use the freshest seasonal ingredients possible in all of our dishes. If you have any special dietary needs then just let us know, we can accommodate almost any requests. This is a true expedition camping experience! Once you depart from Orcas Island you will be entirely self-sufficient, carrying all that you need in your kayaks. Sucia Island Marine Park, and its nearby neighbors, are well maintained by Washington State Parks. Water is available at these campsites, but we use this limited resource wisely to protect the aquifer. High-tech composting toilets have been installed by Washington State for your convenience. All of the campsites on Sucia island are located immediately next to the beaches ensuring gorgeous views for everyone! Like all of our kayak tours, this one requires no previous paddling experience. Our fun and professional guides will take care of the details so that you can relax and enjoy yourself. The Sucia Island expedition is best suited for people in moderate physical condition due to the required channel crossing from Orcas Island. If you have any questions about whether this trip is appropriate for members of your group then please call us to discuss it. Known for its emerald waters and forested trails, its magnificent sunsets and sandstone formations, Sucia Island is prized by locals for its off-season beauty and solitude. Sucia Island Marine State Park is a 564-acre marine park with 77,700 feet of shoreline and abundant camping and moorage. Our trips to Sucia Island require a ferry trip to Orca Island. 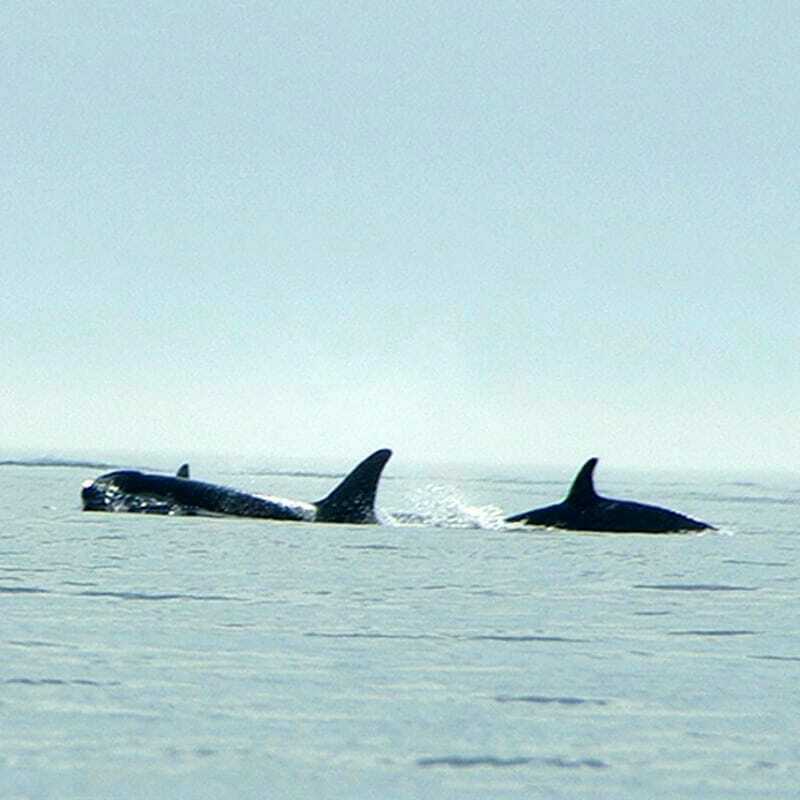 We highly recommend adding extra time on Orcas Island if you are able. The Moran State Park, or Turtleback Mountain, are wonderful places to hike. The tiny hamlet of Eastsound has many fun shops to browse through as well as some delicious restaurants. Arriving on Orcas Island you will make your way to the north shore area known as North Beach. It is about a 25 minute drive from the Orcas ferry landing. Your guide will meet you at the launch site and will issue you dry bags so that you can begin packing your personal gear. (If time allows, feel free to drop by our office in Anacortes prior to departing on the ferry. We can check you in early and give you your dry bags at that time.) Parking is located right at the launch site, there is no cost to park and your guide will direct you to the best places to leave your vehicle. After packing your gear and loading the boats your guide will discuss some safety considerations, explain the planned route for the day, and give you a short introduction on the basics of sea kayaking. After a last minute restroom break you’ll be off the beach and headed into the islands! Launch from North Beach, and paddle across the channel to Sucia Island. Our guides are familiar with the tidal currents and will choose the optimal route for your group. The crossing is approximately two miles and generally takes about one hour. Keep your eyes open for porpoise cavorting in the tides, or seals hunting salmon. You might even get lucky and encounter whales! After completing the crossing we usually head directly into one of the coves on Sucia Island to find our campsite. We like to find a camp early inorder to unload the equipment, enjoy a delicious meal, and relax a bit before heading back out for an afternoon of exploration in the kayaks. Greet your final morning in the Outer Islands with a hot cup of coffee and watch as the Sun rising changes the shadows on the surrounding islands. After breakfast you and your guide will talk about the best route home before taking down your camp and packing the boats for the last time. Launch time is determined mostly by the tidal currents. Some trips must leave fairly early in the morning, and other trips will wait until the tides turn around in your favor. It all depends on the days that your trip is happening. Lunch will usually be another beach break somewhere along the route home. Depending on the route you take, and the conditions of the day, you will likely return back to Orcas Island sometime between 2:00pm and 4:00pm. The exact return time is difficult to predict because so many factors are involved with this sort of travel experience. We recommend that you do not schedule things too tightly just in case the weather or some other variable slows you down along the way. After unloading your kayaks, and saying farewell to your guide, you are off to the next adventure. Hopefully we will see you again! The only difference between these two packages is that in the All Inclusive Package we provide your camping gear and your meals. Here in the outdoorsy Pacific Northwest a large number of our guests possess their own camping equipment and prefer to use it. We have responded to this reality by creating an option that saves them some money and allows them to use the gear that they have already invested in. 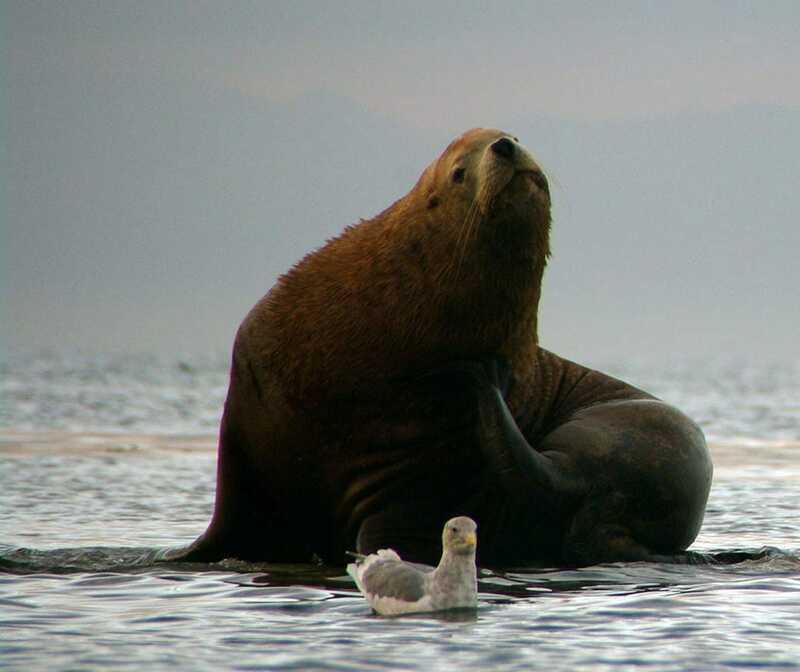 On all trips, we will provide the kayaking equipment and the same exceptional guide service that our guests have come to expect from Anacortes Kayak Tours. Yes! We have a limited number of single kayaks available to reserve. Check out our info on single kayaks for Multi-Day trips. We are currently the only outfitter in the San Juan Islands to be able to offer this option. The superior training and skill levels of our guides allow us to make this type of experience available to our guests. For all trips to Sucia Island, take the ferry from Anacortes to Orcas Island. From the ferry terminal on Orcas Island, drive up to North Beach, where you’ll meet your guide.